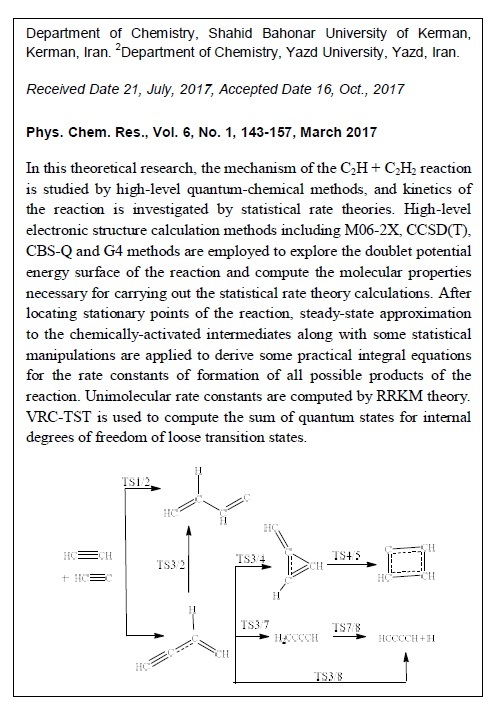 In this theoretical research, the mechanism of the C2H + C2H2 reaction is studied by high-level quantum-chemical methods and kinetics of the reaction is investigated by statistical rate theories. 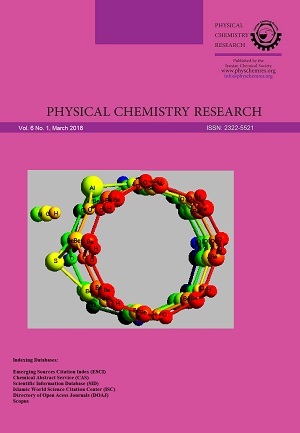 High-level electronic structure calculation methods including M06-2X, CCSD(T), CBS-Q and G4 methods are employed to explore the doublet potential energy surface of the reaction and compute the molecular properties necessary for carrying out the statistical rate theory calculations. After locating stationary points of the reaction, steady-state approximation to the chemically-activated intermediates along with some statistical manipulations are applied to derive some practical integral equations for the rate constants of formation of all possible products of the reaction. Unimolecular rate constants are computed by RRKM theory. VRC-TST is used to compute the sum of quantum states for internal degrees of freedom of loose transition states. The present calculations reveal that the product HCCCCH + H (P8) is the dominant product over whole pressure and temperature range considered in the present study. Nonetheless, at low temperatures and high pressures, other intermediate products especially HCC(H)CCH and H2CCCCH, become significant. The overall computed rate constants are nearly constant over the temperature range 100-500 K and slightly increase at higher temperatures.